Tailored from soft cotton moleskin in an attractive diamond quilting. Insulated with high performance wadding for extra warmth. Smart stand collar, button front fastening, side vents with single button fastening and patch pockets. 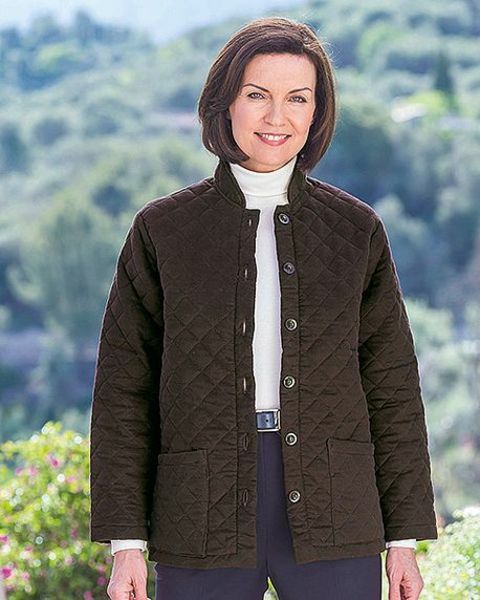 This jacket is comfortable and warm yet stylish, to compliment your outfit.